President George W. Bush and Secretary Robert Gates meeting with the joint chiefs and combatant commanders. A Unified Combatant Command (UCC) is a United States Department of Defense command that is composed of forces from at least two Military Departments and has a broad and continuing mission. These commands are established to provide effective command and control of U.S. military forces, regardless of branch of service, in peace and war. They are organized either on a geographical basis (known as "Area of Responsibility", AOR) or on a functional basis. UCCs are "joint" commands with specific badges denoting their affiliation. The Unified Command Plan (UCP) is updated annually in conjunction with the DoD Fiscal Year and can modify areas of responsibility or combatant command alignments or assignments. As of September 2011, there are nine Unified Combatant Commands as specified in Title 10 and the latest annual UCP. Six have regional responsibilities, and three have functional responsibilities. However, with the recent sequestration, there is talk about undoing the AFRICOM command, and sending it back to EUCOM and CENTCOM. There is also talk about joining NORTHCOM and SOUTHCOM into AMERICOM or a different titled combined command. Each unified command is led by a Combatant Commander (CCDR), who is a four-star general or admiral. CCDRs exercise combatant command (COCOM), a specific type of nontransferable command authority over assigned forces, regardless of branch of service, that is vested only in the CCDRs by federal law in 10 U.S.C. § 164. The Chain of Command for operational purposes (as per the Goldwater–Nichols Act) goes from the President through the Secretary of Defense to the Combatant Commanders. The creation and organization of the Unified Combatant Commands is legally mandated in Title 10, U.S. Code Sections 161-168. The Goldwater-Nichols Defense Reorganization Act of 1986 clarified and codified responsibilities that commanders-in-chief (CINCs) and their predecessors (theater or area commanders) had undertaken since World War II, and which were first given legal status in 1947. The current system of unified commands in the US military emerged during World War II with the establishment of geographic theaters of operation composed of forces from multiple service branches that reported to a single commander who was supported by a joint staff. A unified command structure also existed to coordinate British and American military forces operating under the Combined Chiefs of Staff, which was composed of the British Chiefs of Staff Committee and the American Joint Chiefs of Staff. In the European Theater, Allied military forces fell under the command of the Supreme Headquarters Allied Expeditionary Force (SHAEF). After SHAEF was dissolved at the end of the war, the American forces were unified under a single command, the US Forces, European Theater (USFET), commanded by General of the Army Dwight D. Eisenhower. Unified commands in the Pacific Theater proved more difficult to organize as neither General of the Army Douglas MacArthur nor Fleet Admiral Chester W. Nimitz were willing to become subordinate to the other. Nevertheless, the Joint Chiefs of Staff continued to advocate in favor of establishing permanent unified commands, and President Harry S. Truman approved the first plan on 14 December 1946. Known as the "Outline Command Plan," it would become the first in a series of Unified Command Plans. In conformance with the JCS directive, the Far East Commanddisambiguation needed (FEC or FECOM) was established at Tokyo on January 1, 1947, under the command of General of the Army Douglas MacArthur. This move grouped under one unified command all U.S. forces in the geographical area including Japan, South Korea, the Ryukyu Islands, the Marianas-Bonin Island area, and the Philippine Islands. Others included the U.S. Northeast Command (1950–57). Although not part of the original plan, the Joint Chiefs of Staff (JCS) also created specified commands that had broad and continuing missions but were composed of forces from only one service. Examples include the U.S. Naval Forces, Eastern Atlantic and Mediterranean and the US Air Force's Strategic Air Command. Like the unified commands, the specified commands reported directly to the JCS instead of their respective service chiefs. Although these commands have not existed since the Strategic Air Command was disestablished in 1992, federal law still contains a provision authorizing the President to establish a new specified command. Under the original plan, each of the unified commands operated with one of the service chiefs (the Chief of Staff of the Army or Air Force, or the Chief of Naval Operations) serving as an executive agent representing the Joint Chiefs of Staff. This arrangement was formalized on 21 April 1948 as part of a policy paper titled the "Function of the Armed Forces and the Joint Chiefs of Staff" (informally known as the "Key West Agreement"). The responsibilities of the unified commands were further expanded on 7 September 1948 when the commanders' authority was extended to include the coordination of the administrative and logistical functions in addition to their combat responsibilities. The U.S. Atlantic Command became the Joint Forces Command in the 1990s after the Soviet threat to the North Atlantic had disappeared and the need rose for an integrating and experimentation command for forces in the continental United States. The Joint Forces Command was disbanded on August 3, 2011 and its components placed under the Joint Staff and other Combatant Commands. Regional CINCs were created in order to have a local supreme commander who could exercise unified command and control across service boundaries, ideally eliminating or diminishing interservice rivalries. CINCs reported directly to the United States Secretary of Defense, and through him to the President of the United States. One of the best known CINCs was Norman Schwarzkopf, commander of U.S. Central Command (CENTCOM) during Operation Desert Storm. On 24 October 2002, Secretary of Defense Donald H. Rumsfeld announced that in accordance with Title 10 of the US Code (USC), the title of "Commander-in-Chief" would thereafter be reserved for the President, consistent with the terms of Article II of the United States Constitution. Thereafter, the military CINCs would be known as "combatant commanders", as heads of the Unified Combatant Commands. A sixth geographical combatant command (CCMD) was approved and established in 2007 for Africa (USAFRICOM). It operated under U.S. European Command during its first year, and transitioned to independent Unified Command Status in October 2008. In 2009, it focused on synchronizing hundreds of activities inherited from three regional commands that previously coordinated U.S. military relations in Africa. A Subordinate Unified Command, or Subunified Command, may be established by combatant commanders when authorized to do so by the Secretary of Defense or the President. They are created to conduct a portion of their parent Unified Command. Like Unified Commands, Subunified Commands may be either functional or geographic, and the commanders of Subunified Commands exercise authority similar to that of combatant commanders. 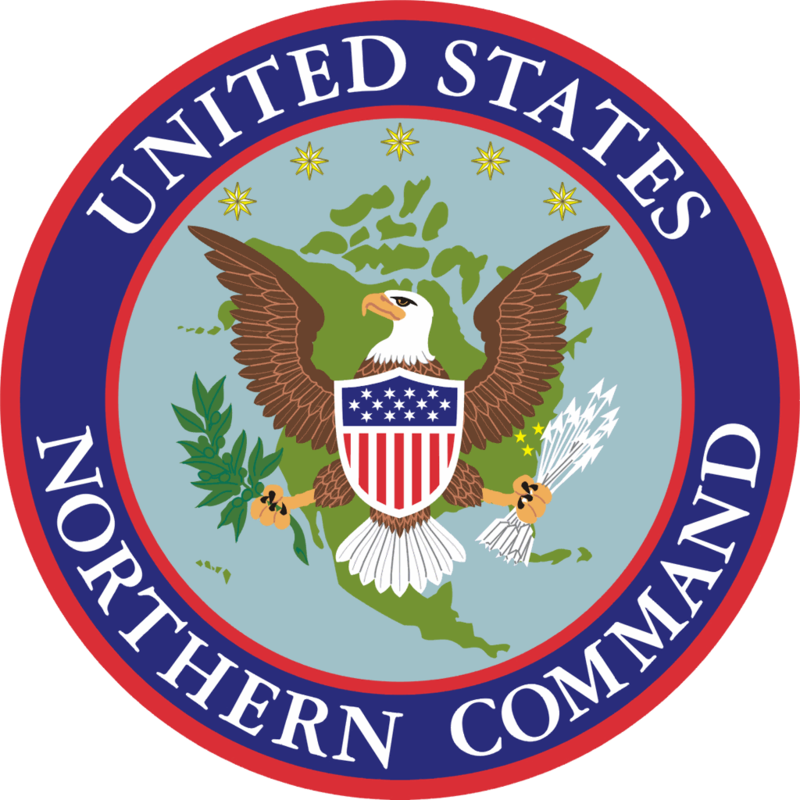 Examples of current and former Subunified Commands are the Alaskan Command (ALCOM) and the United States Forces Korea (USFK) under USPACOM, the United States Cyber Command (USCYBERCOM) under USSTRATCOM, and the former United States Forces – Iraq (USF-I) under USCENTCOM. Each combatant command (CCMD) is headed by a four-star general or admiral recommended by the Secretary of Defense, nominated for appointment by the President of the United States, confirmed by the Senate and commissioned, at the President's order, by the Secretary of Defense. The Goldwater-Nichols Act and its subsequent implementation legislation also resulted in specific Joint Professional Military Education (JPME) requirements for officers before they could attain flag or general officer rank thereby preparing them for duty in Joint assignments such as UCC staff or Joint Chiefs of Staff assignments, which are strictly controlled tour length rotations of duty. However, in the decades following enactment of Goldwater-Nichols, these JPME requirements have yet to come to overall fruition. This is particularly true in the case of senior naval officers, where sea duty/shore duty rotations and the culture of the naval service has often discounted PME and JPME as a measure of professional development for success. Although slowly changing, the JPME requirement still continues to be frequently waived in the case of senior admirals nominated for these positions. The operational chain of command runs from the President to the Secretary of Defense to the Combatant Commanders of the combatant commands. The Chairman of the Joint Chiefs of Staff may transmit communications to the Commanders of the combatant commands from the President and Secretary of Defense and advises both on potential courses of action, but the Chairman does not exercise military command over any combatant forces. Under Goldwater-Nichols, the service chiefs (also four stars in rank) are charged with the responsibility of the "strategic direction, unified operation of combatant commands, and the integration of all land, naval, and air forces in an efficient "unified combatant command" force. Furthermore, the Secretaries of the Military Departments (i.e. Secretary of the Army, Secretary of the Navy, and the Secretary of the Air Force) are legally responsible to "organize, train and equip" combatant forces and, as directed by the Secretary of Defense, assign their forces for use by the combatant commands. The Secretaries of the Military Departments also do not exercise any operational control over their forces. Each combatant command can be led by a general or flag officer from any of the military services. Most commands have traditional service affiliations, but in recent years, non-traditional appointments have become more common. EUCOM was traditionally an Army command with USAF generals on occasion, but was held by a Marine from 2003 through 2006. CENTCOM was traditionally an Army and Marine command but William J. Fallon, commander from 2007 through 2008, was a Navy admiral. PACOM has always been commanded by a Navy admiral due to the wide expanse of ocean, although Air Force generals have been nominated for the post. U.S. Atlantic Command (USACOM) was also a traditional Navy assignment until it was successively commanded by Marine, Army, and Air Force generals, thereby becoming the first to have had commanders from all four services (USACOM was redesignated as JFCOM in 1999). CENTCOM and SOUTHCOM were traditionally Army general positions until the Marines received their first CinC assignments. This led the way for General Pace to become the first Vice Chairman of the Joint Chiefs of Staff and ultimately Chairman of the Joint Chiefs of Staff. CCDRs are strong candidates for either position. The two newest commands, AFRICOM and NORTHCOM, have had the fewest number of commanders, with all of AFRICOM's being Army and NORTHCOM's alternating between the Air Force and Navy, until its first Army commander, General Charles H. Jacoby, Jr., took command in August 2011. ↑ Joint Pub 1, p. GL-11. ↑ Joint Pub 1-02, p. 61. ↑ Joint Pub 1, p. IV-4. ↑ Watson, Cynthia A. (2010). Combatant Commands: Origins, Structure, and Engagements. ABC-CLIO. p. 3. ISBN 978-0-313-35432-8. http://books.google.com/books?id=IHuII6O3nB0C&pg=PA3. ↑ Whitley, Joe D. et al, ed (2010). Homeland security: legal and policy issues. American Bar Association. pp. 44–45. ISBN 978-1-60442-462-1. http://books.google.com/books?id=bJI54yr1ymQC&pg=PA44. ↑ JCS (1977), p. 3. ↑ JCS (1977), p. 5. ↑ JCS (1977), p. 6. ↑ Joint Pub 1, p. V-9. ↑ Holder and Murray, p. 86. Wikimedia Commons has media related to Unified Combatant Command. "AFRICOM FAQs". United States Africa Command. http://www.africom.mil/africomFAQs.asp. Retrieved 27 August 2010. "DefenseLINK - Unified Command Plan". United States Department of Defense. http://www.defenselink.mil/specials/unifiedcommand. Retrieved 15 January 2009. Holder, Leonard; Murray, Williamson (Spring 1998). "Prospects for Military Education". https://digitalndulibrary.ndu.edu/cdm4/document.php?CISOROOT=/ndupress&CISOPTR=16478&REC=1. Joint Chiefs of Staff (20 December 1977). "History of the Unified Command Plan, 1946-1977". http://www.dod.gov/pubs/foi/reading_room/268.pdf. Retrieved 21 August 2010. Joint Chiefs of Staff (July 1985). "History of the Unified Command Plan, 1977-1983". http://www.dod.gov/pubs/foi/reading_room/269.pdf. Retrieved 21 August 2010. "Joint Publication 1, Doctrine for the Armed Forces of the United States". Joint Chiefs of Staff. 2 May 2007 (incorporating Change 1, 20 March 2009). http://www.dtic.mil/doctrine/new_pubs/jp1.pdf. Retrieved 22 August 2009. "Joint Publication 1-02, Department of Defense Dictionary of Military and Associated Terms". Joint Chiefs of Staff. 8 November 2010 (as amended through 31 January 2011). http://www.dtic.mil/doctrine/new_pubs/jp1_02.pdf. Retrieved 24 March 2011. "Joint Warfighting Center History". United States Joint Forces Command. http://www.jfcom.mil/about/jwfc_history.htm. Retrieved 6 February 2007. "Specified Command". Naval Advancement. http://www.tpub.com/content/advancement/14148/css/14148_21.htm. Retrieved August 2009. Story, William C. (21 June 1999). "Military Changes to the Unified Command Plan: Background and Issues for Congress". Congressional Research Service. http://www.au.af.mil/au/awc/awcgate/crs/rl30245.pdf. Retrieved 22 August 2010. "US Creating New Africa Command To Coordinate Military Efforts". United States Department of State. Archived from the original on 10 June 2007. http://web.archive.org/web/20070610162234/http://www.america.gov/st/washfile-english/2007/February/20070206170933MVyelwarC0.2182581.html. Retrieved 12 August 2013. "U.S. Central Command Area of Responsibility Countries". USCENTCOM. http://www.centcom.mil/area-of-responsibility-countries. Retrieved 12 August 2013. "The Region EUCOM, Stronger Together". USEUCOM. http://www.eucom.mil/mission/the-region. Retrieved 12 August 2013. "USNORTHCOM 101". NRT. http://nrt.sraprod.com/nrtconf/reports/040316/USNORTHCOM%20101.ppt. Retrieved 12 August 2013. "ADM Keating's Letter". USPACOM. http://photos.state.gov/libraries/adana/19452/pdfs/uspacom.pdf. Retrieved 12 August 2013. "Area of Responsibility (USSOUTHCOM)". USSOUTHCOM. http://www.southcom.mil/aboutus/Pages/Area-of-Responsibility.aspx. Retrieved 12 August 2013.